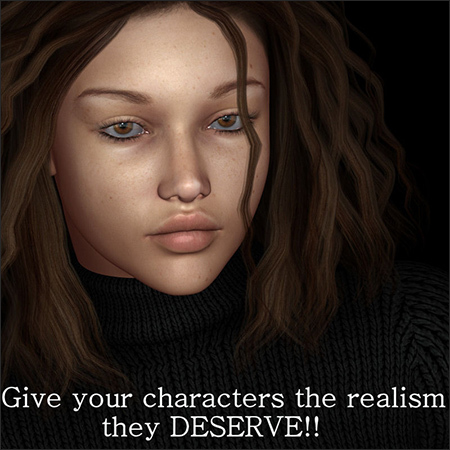 Give your characters the realism they DESERVE!! You know the feeling.. after pouring hour after hour, day after day, week after week into your new V4 character only to find that the eyes fall flat in the end. We have all been there and know that V4’s eyes can leave her lifeless.. So with that in mind Rebelmommy and Mint have teamed up to offer you the ULTIMATE V4 eye resource. Finally an eye package that will breathe life into those dull eyes of V4! Your character and renders will definately be notiiced! This package is designed as a merchant resource but comes with MAT poses for all 107 (yes 107) eye choices so you can use them to draw out your character renders as well! Included is a full node setup which you may also use in your commercial character packs. Never has it been easier to give V4 ..Life Like eyes. Most of these eyes have no reflections on the texture itself but some do, so its easy for you to get the look you desire. •Commercial use of included node set up to ensure your characters come alive! The promo images and Poser Library thumbnails were all rendered after applying the included Shadow Overlay psd file to the exsisting eye textures and re-saving the texture maps. The lights used in all the promos are the IBL Lights by 4BlueEyes..available at Poser Pros and modified version of that set by Rebelmommy. If you are interested in that set please send Rebelmommy a site mail. Proven quality content at a price you can afford! This product will work in PP/P5/P6/P7 on a pc and in PS7 and PSP9. It has not been tested in any other programs or any other formats. 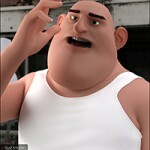 There is NO postwork on any part of the images other then the addition of hair on character.. ALL images rendered in Poser 7 .